The temperatures maybe rising, but your look can stay cool as ice. Reebok has another created a new colorway for another classic. Chill out and style up in the Classic Leather Ice. This timeless Reebok silhouette switches out its signature gum bottom for a crisp, ice-blue sole to keep your look infinitely cool. Known as “the Classic” for a reason, this signature shoe stays true to its roots with a full-leather upper for stability, while an EVA midsole offers lightweight comfort underfoot. The light blue outsole is the perfect way to add a shattering blast of color to stay endlessly fresh for the summer. 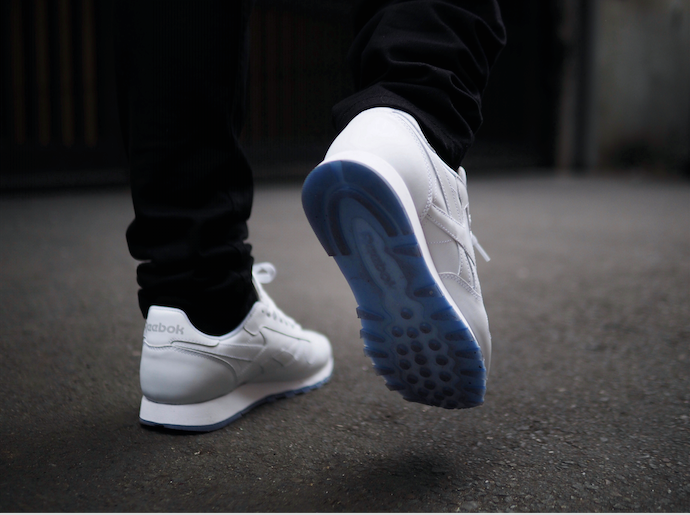 The Reebok Classic Leather Ice is available on Reebok.com, Finish Line, and V.I.M. For $74.99. In 1990, Reebok released one of their most timeless running designs: the Ventilator. Incorporating Hexalite technology into the shoe to provide greater comfort and better shock absorption it was the perfect shoe for the faster, lighter runner. The durable lugged outsole was designed to give sure-footed traction for both on and off-road running. The visible archbridge in the middle of the shoe was perfectly placed to offer optimum motion control. And the name Ventilator? That came from the ventilated side panels that allowed cooling and breathability. The shoe was ahead of its time. Twenty-five years later the shoe is a classic. Still as light as it ever was but now worn for street fashion instead of road running. As Reebok celebrates 25 years of the Ventilator in 2015, three of the original colorways return in their true form; stitch for stitch and perfectly color matched for authenticity. To help reintroduce these classic trainers, Reebok asked renowned photographer, Jonathan Mannion, to capture what he saw as the essence of the Ventilator. “When asked by Reebok to creatively interpret and photograph the shoe, I was presented with a unique challenge; with a shoe that has so many intriguing design elements, what element best defines the entire shoe? Ultimately, I focused on the shoe’s most unique element, the mesh ventilation. My approach to shooting was much like I’d approach shooting a car; focusing on the silhouette of the object and the way the design interacted with air. By accentuating the mesh through light, I hoped to achieve an iconic picture that honored the timelessness of the shoe. 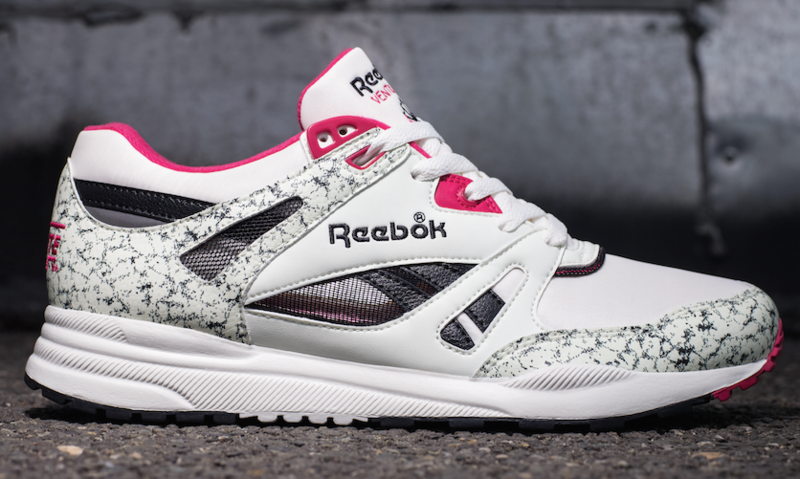 The third style from the Ventilator OG Pack in white/grey/pink/black will launch on Saturday, March 14th for $109.99 at Reebok.com, Bait, Extra Butter, Private and Puffer Reds. In 1990, Reebok released one of their most timeless running designs: the Ventilator. Incorporating Hexalite technology into the shoe to provide greater comfort and better shock absorption, it was the perfect shoe for the faster, lighter runner. The durable lugged outsole was designed to give sure-footed traction for both on and off-road running. The visible archbridge in the middle of the shoe was perfectly placed to offer optimum motion control. And the name Ventilator? That came from the ventilated side panels that allowed cooling and breathability. The shoe was ahead of its time. Twenty-five years later the shoe is a classic. Still as light as it ever was but now worn for street fashion instead of road running. As Reebok celebrates 25 years of the Ventilator in 2015, three of the original colorways return in their true form; stitch for stitch and perfectly color matched for authenticity. Reebok’s newest member, Kendrick Lamar, has been seen rocking this authentic Reebok shoe. 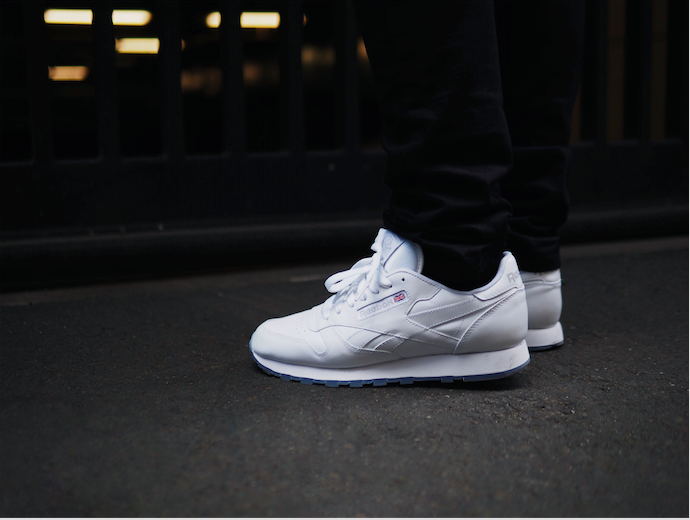 Once again, Reebok goes back to its heritage and reintroduces a timeless Classic. To help reintroduce these classic trainers, Reebok asked renowned photographer, Jonathan Mannion, to capture what he saw as the essence of the Ventilator. 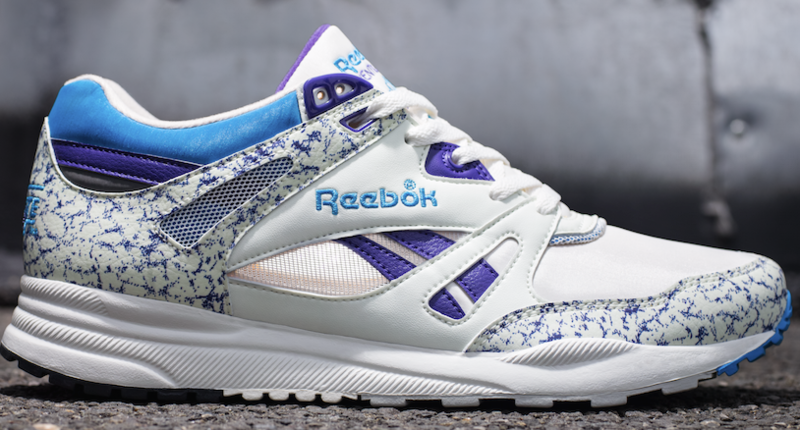 The second style from the Ventilator OG Pack in White/Grey/Purple/Blue will launch on Saturday, February 14th for $109.99 at retailers including Reebok.com, Bait and Puffer Reds. 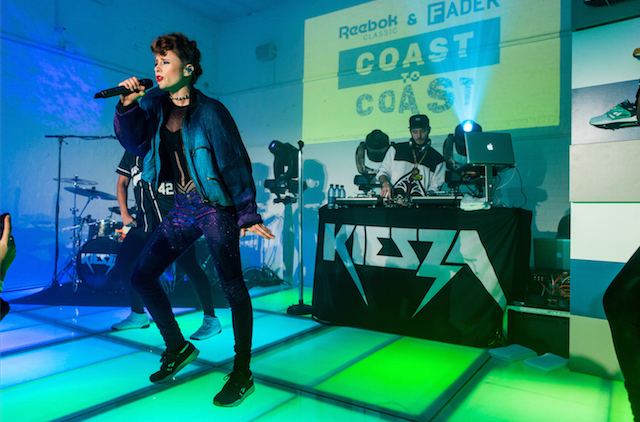 Reebok Classic x The FADER’s two-part concert series, Coast to Coast, concluded with a big finale last night in New York City with performances from Kiesza and Brenmar, hosted by Hot 97’s Miss Info at Openhouse. Concert goers were treated to a DJ set by the talented Brenmar before Kiesza took the stage in her Reebok Classic “Ventilator” sneakers. Accompanied by her dancers, Kiesza performed and danced her way through the songs from her recently released full length album “Sound of a Woman” and closed the show with her breakout hit “Hideaway” to the cheering crowd. 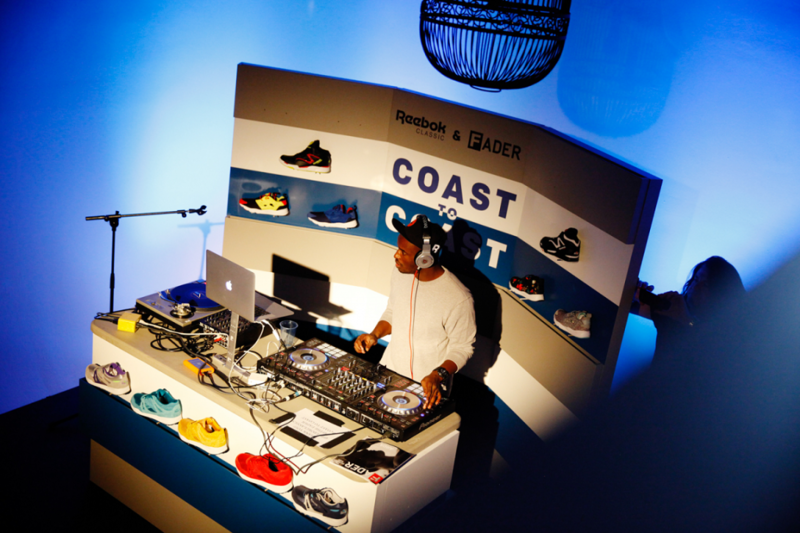 Coast to Coast was developed as a platform to integrate music with style, and celebrate the Reebok Classic Ventilator in New York and Los Angeles, which is on the verge of celebrating its 25th anniversary. To help celebrate these artists, the concert series hit both coasts with exclusive performances, in addition to pieces of content that document each artist in their home base, which will be live on TheFADER.com later this year. Born during the golden era of Reebok design and technology innovation, the Ventilator was a game-changing runner when it was first introduced in 1990 and remains a wardrobe staple for many of today’s hottest up and coming artists. The Reebok Classic “Ventilator” sneakers retail between $80 -$90 and are available at key retailers such as Jimmy Jazz, Urban Outfitters, Bait, Shoe City and Reebok.com. 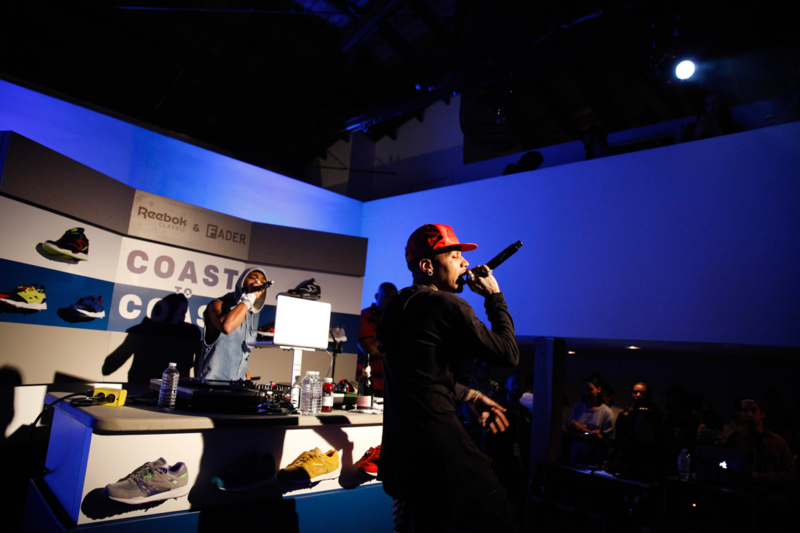 Reebok Classic x The FADER’s two-part concert series, Coast to Coast, kicked off on Monday, November 24th at the Holding Co. in Los Angeles with performances from Ab-Soul and Kid Ink, hosted by LA’s Karen Civil. Photos from the event are attached. This particular concert coincided with the 25th anniversary of the Reebok Pump sneaker on November 24th, the official birthday of the Pump. 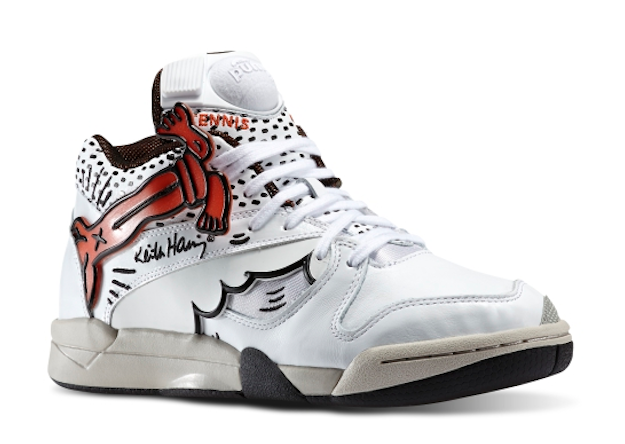 An iconic technology and style that has graced the feet of athletes, musicians and almost everyone else since the late 80s, the Pump still remains relevant today. To commemorate this anniversary, Ab-Soul wore the distinctive Reebok Classic x Keith Haring Court Victory Pump during his performance. 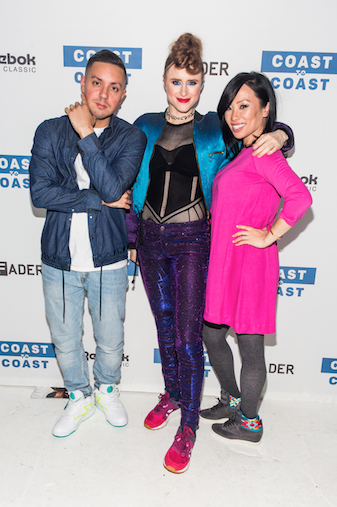 The Coast to Coast concert series was developed as a platform to integrate music with style. Reebok and The Fader will be hitting both coasts and presenting exclusive artist performances, in addition to pieces of content that document the artists in their home base, which will be live on TheFADER.com later this year. Up next: one of the hottest rising stars in music, Kiesza, will headline the NYC show on December 3rd. Be sure to visit TheFADER.com for more details, or follow @ReebokClassics and @TheFADER for your chance to win a coveted spot to the next event! Long before Shaquille O’Neal was a member of the NBA championship winning Lakers, or even the Orlando Magic, he was a part of an even greater team – the Newark Boys and Girls Club. Paying homage to the big man’s roots in “Brick City”, Reebok Classic will release limited pairs of the grey/black/california blue Shaq Attaq IV on Friday, November 7th for $140 at select retailers Eblens, Shoe City and Reebok.com. Reebok Classic continues its exclusive partnership and design collaboration with Los Angeles based designer Melody Ehsani with the introduction of the “Constellation Pack” for FW14. The collection features two models that speak to the Reebok Classic heritage: the Freestyle and the Classic Leather, which are reworked with Melody’s signature daring and directional designs. Inspired by the beautiful and unique patterns of the 12 zodiac constellations and star groups, Melody took influence from the navigational use o f the night sky and the idea of finding your own path; despite having your feet on the ground, looking up into the endless, unknown universe will guide your every step. 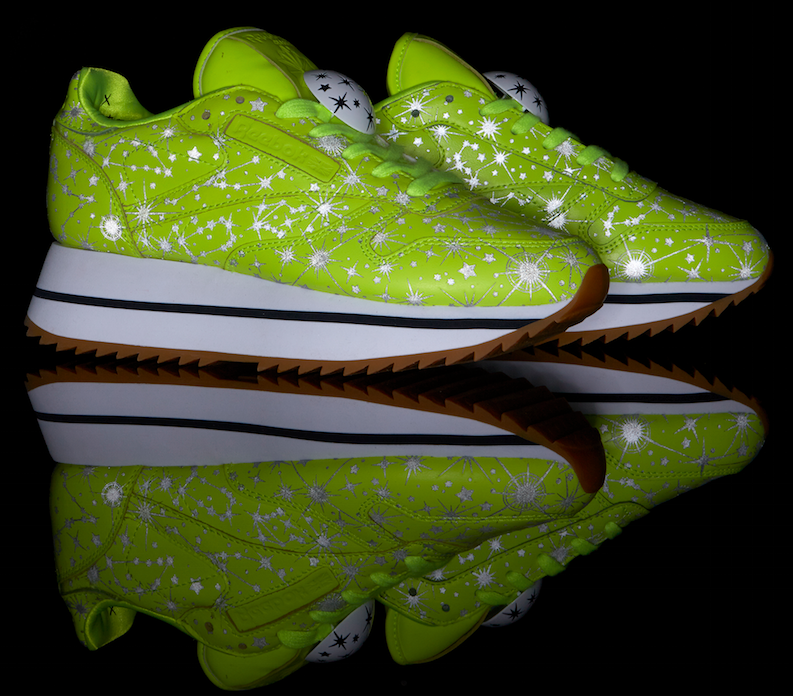 The neon lime full grain leather upper features the constellations printed in reflective 3M graphic for a standout detail that dazzles at night. Debossed logos on the tongue add a subtle Classic detail, while Melody added her own personal touch to the pack with eye-catching jewelry inspired lacelock hardware and a handwritten message hidden on the inside collar. Reebok Classic delivers a sneak peek of the kicks Isaiah Thomas will be rocking for a cause when he steps back on the court this October. A perennial favorite among players both on and off court, the Kamikaze II Mid will be dialed up with hits of pink on its distinctive zigzag design in support of Breast Cancer Awareness month. 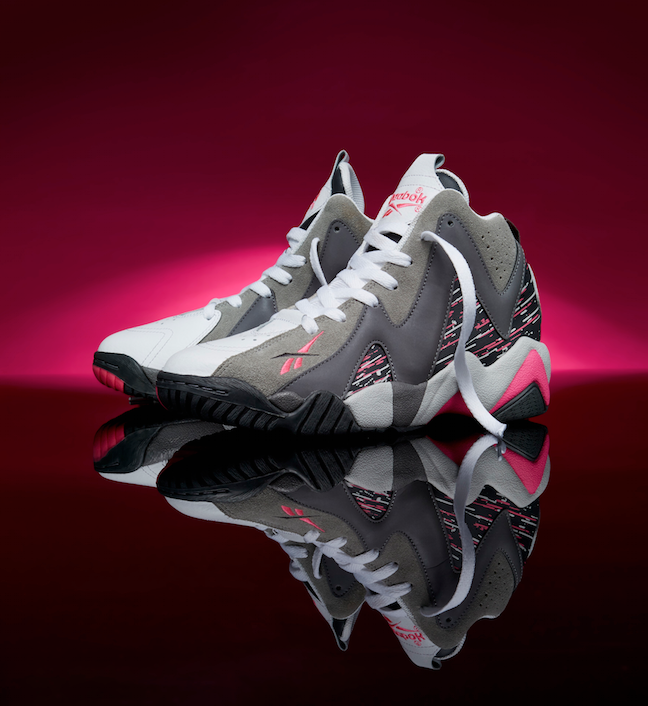 Limited pairs of the pink/grey Kamikaze II will hit stores on Friday, October 3rd at Finish Line, Jimmy Jazz, Champs, Eastbay, DTLR, Shoe City, Reebok.com for $110 for Men’s Adult sizing. Grade school sizes will retail at $85 and Pre-school sizing will retail for $50. A portion of the proceeds for every pair sold will be donated to the Avon Breast Cancer Crusade. Reebok is proud to be national sponsor of the Avon Walk For Breast Cancer and will donate a minimum of $300,000 through pink ribbon product sales to support access to care and to help find a cure for breast cancer. On Monday August 11th, the top high school basketball players in the nation squared off in the second annual Reebok Breakout Camp vs EBC All-Star game at Rucker Park in Harlem, NYC. Some of the nation’s top recruits including Skal Labissiere, Elijah Thomas, Abdul Ado, Derrick Jones, Dwayne Bacon, Corey Sanders, Donovan Mitchell, and Admon Gilder put on a show in front of hundreds of fans who packed the outdoor court. 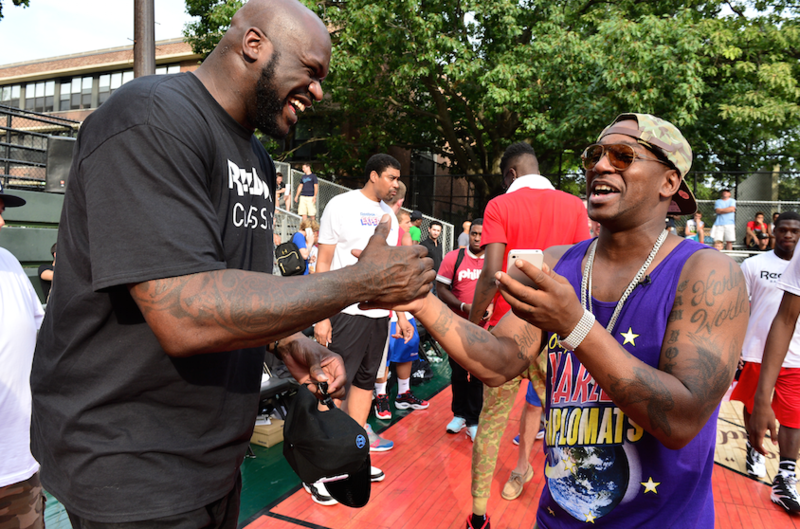 Basketball legend Shaquille O’Neal , the 76ers’ Nerlens Noel, along with Harlem native and former Rucker basketball player Cam’ron were on-site to coach the young players in their quest for bragging rights. 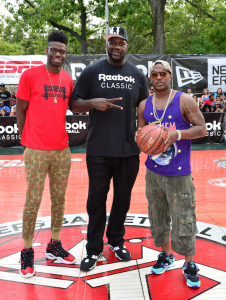 They were also there to support upcoming Reebok footwear releases with Shaq wearing the “Shaq Attaq IV,” Nerlens Noel (and the Breakout Camp All Stars) wearing the Question Mid “First Ballot,” Cam’ron wearing the breezy “Ventilator” style, and the EBC Rucker All Star team outfitted in the distinctive black and white “Blast” sneaker. Shaq and the Reebok Breakout Camp All-Stars walked away with a 95-73 win over the EBC High School All-Stars. Classic summer streetball at Rucker. 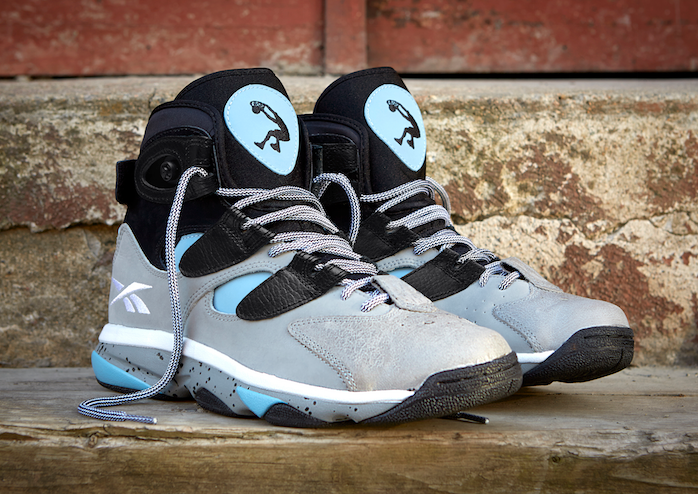 The Shaq Attaq IV ($139.99) and Ventilator ($84.99) are currently available at Reebok.com. The Question Mid “First Ballot” style will be launching this Friday, August 15th for $124.99 at retailers including Finish Line, Champs, Jimmy Jazz, Eastbay, Footaction, Shiekh and Reebok.com. The Blast sneaker will be launching on Friday, August 29th for $119.99 at retailers including Finish Line, Champs, Eastbay, Jimmy Jazz, Footaction, Villa and Reebok.com.